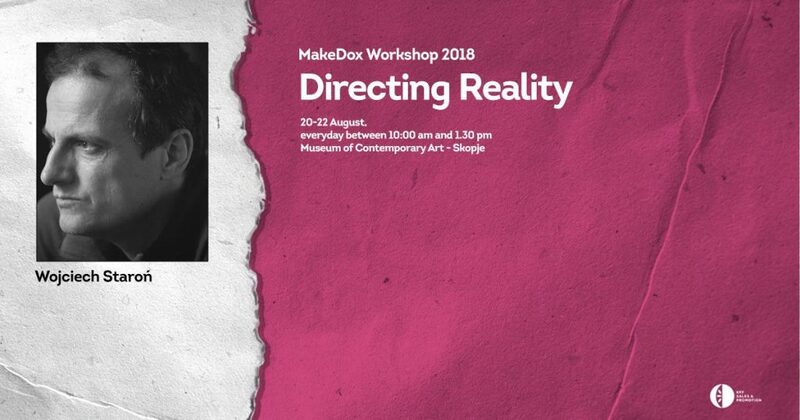 During her 3-day long workshop (17-19 August), organized in cooperation with Creative Europe MEDIA Desk Macedonia, Pirjo Honkasalo takes us into the world of directing reality on the film screen. On this journey, the participants will have the opportunity to not only discuss but also witness the art of using documentary language in her films “The 3 Rooms of Melancholia”, “ITO” and “Concrete Night”. The discussions afterwards will try to answer how to choose the subject and the protagonists and when the ethical responsibility towards them ends. During Wojciech Staroń’s Masterclass, which lasts for 3 days (20-22 August), the participants will learn how to converse with the audience using moving pictures and simplicity. The art of capturing relations and emotions will only be the beginning of it. Since he believes that the screen reflects not only the actors’ emotions but also those of the cinematographer, Wojciech will talk about photography in the documentary, which is only one of the ingredients needed for a true story. Excerpts of his films “Siberian Lesson”, “Argentinean Lesson”, “Brothers” and “Don Juan” will bring closer the Polish art of directing the reality as it is. This workshop is made possible through the support of the Krakow Film Foundation. Wojciech Staroń is a Polish cinematographer and documentary director who graduated from the prestigious Łódź Film School’s Faculty of Cinematography. His “Argentinean Lesson” is among Poland’s most awarded documentaries in recent decades. Member of the European Film Academy and the Polish Society of Cinematographers, he received the Silver Bear at the 2012 Berlinale for Best Artistic Achievements in the cinematography category and the Bronze Camera at the 2013 Manaki Brothers Film Festival for the film “Papusza”. Both workshops will take place at the Museum of Contemporary Art – Skopje. 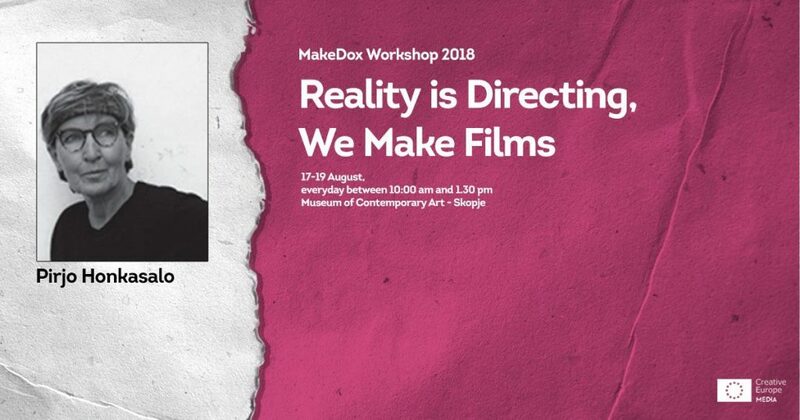 Free of charge and open to a limited number of filmmakers, they will be held in English and moderated by Petra Selishkar. from the 19th century. Many steps must be done within a very short period to obtain a wet-plate photograph. Firstly, the aluminum plate is coated with collodion emulsion and then sensitized in silver nitrate. The plate is then put back into the camera’s film, in a dark box with minimal red or amber light. The photograph must be taken within a minute or so, while the plate is still wet. The plate is then taken back to the dark box and developed. The image always appears inversely with beautiful imperfections, as if it were created long time ago and not today. 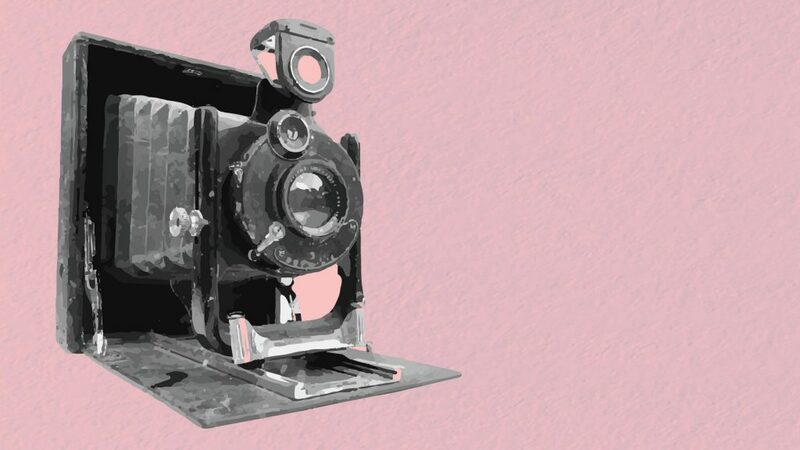 This 4-day long workshop will be held on August 18-21 at the charming Kurshumli An by Sasho N. Alushevski, photographer and Predrag Uzhelac, independent photography associate and assistant at the Academy of Arts in Novi Sad, Serbia.